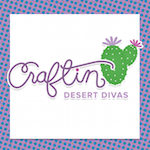 Craftin Desert Divas Blog: Craftin Desert Divas Guest DT Call! We are looking for a few super talented and motivated guest designers who would love to work with and promote CDD products! 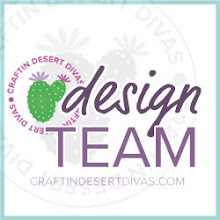 We'd love a variety of guest designers who love to create and color items such as cards, layouts, 3D items, altered items or anything else that you can add our stamps, dies or sequins to. If chosen during your month you will need to make 4 projects with stamps provided to you. We ask that you share these projects on your blog, Facebook and in the CDD Gallery on Facebook. 1. 3 projects that best showcase your style. 1. Promotion of you and your work on the CDD blog and FB page. 2. $10 code to the CDD Shop. Thanks so much and I'm looking forward to hearing from you!! Good luck everyone! This sounds like a blast! Yes you can still apply. Thank you for asking. I would like to be part of your design team. Being a wife, a mother, the oldest sister, and full time employee makes my life is so busy .However finding an hour to craft is must . Big thanks to my husband for supporting me ;)I love scrap-booking, Mixed Media, Painting, coloring, card making and jewelry making. I also love creating my own mini albums, I also enjoy altering some sorts of items into art piece. I enjoy sharing ideas and crafting techniques and tutorials. I would say i am strong in ever thing and may be my strengths seems week for someone and strong for someone else . The pretty sure about me that i am not good at all in drawing .. I'd love to get the chance to be a guest designer for you. I took the chance and applied. I love your stamps and dies and use them a lot. I always look forward to each new release.